A colourful new addition has emerged along Burlington Street. 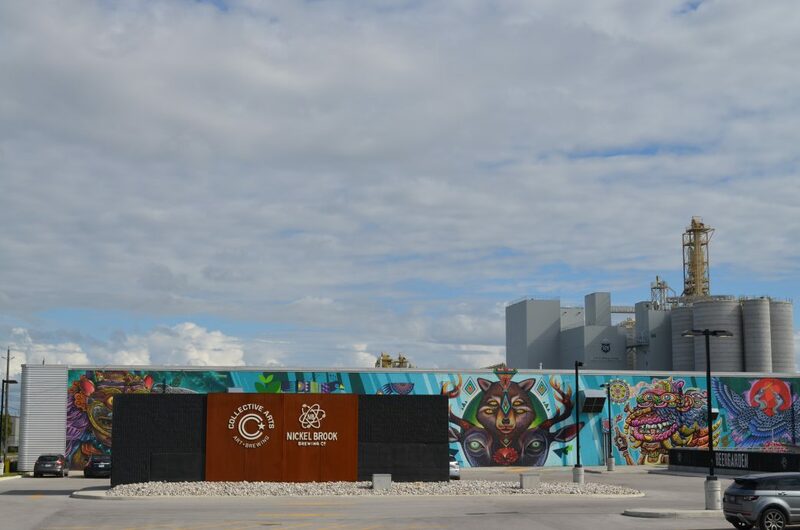 Commissioned by Collective Arts Brewery, with support from HPA, artists Bruno Smoky, Shalak Attack, Peru143 and Chris Dyer along with Hamilton muralist Jordan Warmington have created a bright mural adjacent to the brewers’ outdoor beergarden. “Our vision for Collective Arts is to not only be a destination for beer, but also a place to come to experience world-class art and music. This is a step in creating that experience and also a way to show our long-term commitment to Hamilton,” explains Matt Johnston, CEO of Collective Arts Brewing.